Director J.C. Chandor Uncovers the Myth of the American Dream With "A Most Violent Year"
J.C. Chandor blew the financial crisis of 2007-08 wide open with Margin Call. He tossed Robert Redford around alone on a boat for a couple hours in All Is Lost. And now, he&apos;s putting Oscar Isaac (okay, his character) in the greatest moral conundrum of his life in A Most Violent Year. In the slow-burning gangster film (opening in theaters today), Isaac plays Abel Morales, a businessman trying to expand his company in 1981, one of the most crime-ridden years in New York history. As his competitors ruthlessly sabotage his efforts, Abel tries to maintain a policy of non-violence, while his wife Anna (Jessica Chastain) experiments with a few survival tactics of her own. Like in all of his movies, Chandor isn&apos;t interested in showing you how to survive life&apos;s greatest challenges—he&apos;s interested in making you think about how you would. Here, Chandor discusses the making of A Most Violent Year, the inherent chemistry between his stunning two leads, and what the American dream actually means. I was struck by how understated this film is. I was expecting a shoot-&apos;em-up gangster film of some sort. Hopefully it’s giving you a similar, emotional ride as a classic gangster film, but obviously, in this case, the hope is to be investigating characters that are trying to grow their business. In the end they’re actually just normal people here on Earth with their feet firmly planted on the ground, but we’re visiting them at this time where they have these real choices about how they’re going to move forward and whether they’re going to continue to try to expand and grow, or if they&apos;re going to fold up their tent and hunker down. I think the pacing and the way I told the story is meant to give you some thrills, and certainly entertain you, but also represent what it actually feels like to be in those times when you have all your life’s worth at risk. To grow to that next level, there&apos;s this very prolonged sense of urgency and anxiety. My hope is that I’m giving you a representation of what that experience feels like. Would you say it&apos;s a movie about the American dream? I&apos;d say what their definition of success is is what the movie’s about. At the start of the film, things are going pretty well for them. They’re quite wealthy. Abel&apos;s started with very little and he’s already reached great heights, yet he and his family choose to continue to put that at risk and try to grow. That is, for me, the heart of the American conversation: We want to grow and get better and stronger, but also try not to lose ourselves in that process. Why do you think he resists going the easy way? It’s a combination, like everything in life, but I would argue that for him, it’s almost more pragmatic. There’s certainly an ethical and moral component to it, but for him, he’s a capitalist, dyed in the wool. It’s not like he’s morally opposed to guns or anything like that, he just doesn&apos;t understand how that’s going to help him achieve his goal, and so he works to not have to give into that. It’s interesting to see that dream take its toll in different ways. You have Abel dealing with it one way, but you also have Julian dealing with it in another way. The Julian character [played by Elyes Gabel], going back to the classic gangster movie, is what you would call the sacrificial lamb. He is almost archetypal. What I found so fascinating about his journey is that Abel really cares about him, but only up to a point, which is when Julian makes a serious mistake that jeopardizes Abel&apos;s business. At that time in New York City, if you would&apos;ve gotten into some trouble, it would&apos;ve been a real problem. His mistake then puts him into the cog of this much greater machine which now he’s involved in as sort of a political pawn. He&apos;s a chess piece in a much bigger game than what his life was. It’s harsh and it’s the reality; Abel will be your most fervent ally up until a point, and then in that capitalist way, if you make too big a mistake, you get left on the side of the road. 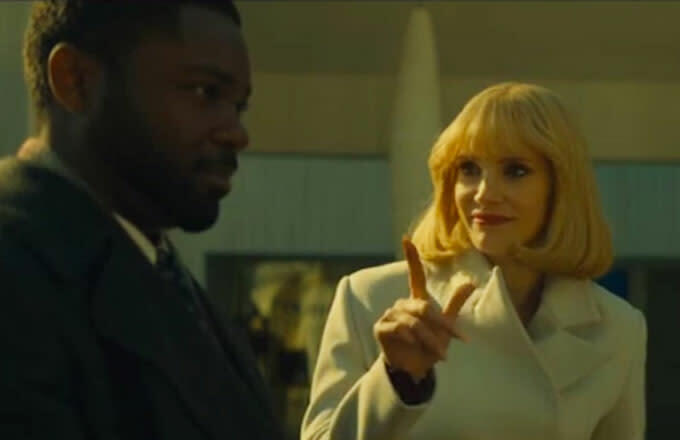 Even though A Most Violent Year is set in another time period, its themes are still applicable. What Oscar always said to me as an actor was this: This movie could be taking place in 1681, 1781, 1981. There’s always going to be that striving if there’s going to be the levels of success in this country that there is. As inherent in nature, there’s always going to be an opposing force. There’s going to be the people that fall by the wayside. You’re not always going to be lucky, so it&apos;s really about how you respond to those moments of crisis. Do you think because Abel basically received the company from his wife’s father, he has something to prove and that’s at stake as well? Yeah, that was very much on purpose. I didn’t think the business was super successful at all when the father-in-law was running it. I like to believe that it was almost being run into the ground. When Oscar and Jessica’s characters took it over, they were the people who brought life to this company. And I was [thinking about] the myth of the immigrant raising up by the pure bootstraps without some sort of help, which is a real capitalist idea. You come here and get no help, and no one ever did anything nice for you and you never got a break. It was all self-made. That’s as much a provocation as any other myth with the American experience. Everyone who’s achieved stuff has had people along the line who&apos;ve helped them do that. Certainly the great majority of the individuals who have succeeded in this country have done that through the good fortune and help and effort of other people. So the fact that Abel inherited the little foundation of the company, that he then got to grow something much bigger on, was almost a way of undercutting his own myth. What does Jessica Chastain’s character represent? She has the almost identical screen-time that a classic, femme fatale, gangster’s wife has—​that sort of a more one-dimensional character. Her influence on Abel, and the movie, and on the company—​it’s the thing I’m playing with where by the end of the movie, you realize she’s basically the CFO of this company. It was only because they started working together in the 1960s, when in that neighborhood and that cultural situation a woman was not allowed to be in charge, that her dad didn’t leave her the company. Anna&apos;s dad made Abel and Anna buy the company from him. The fact that he didn’t just give it to his first son tells you something about their history, which is that Anna has literally been running the books. She’s the business person. He’s the sales guy, but she’s the one who actually kept this company in business and, in fact, she’s a pragmatist in her own way. She knows what everybody else keeps saying, which is, "We run the company in a standard industry practice." She’s saying that to actually be able to run a business in this era in New York, you have to bend in certain places. You just couldn’t compete because everybody else is cheating. I love what Jessica did with her character. There’s a nouveau riche element to her character with the amazing wardrobe and the nails. Those fingernails in that period of time were meant to signify that you didn’t have to do physical labor. Yet she’s so involved with the day-to-day operations of the company. You see her right from the beginning of the movie crunching the books. And our costume designer is actually a Polish-American woman who lived in the neighborhood where these characters did, so I always thought Jessica’s character was of Polish descent. She’s an American, but she’s a Polish-American from that Greenpoint section of Brooklyn. Oscar Isaac and Jessica Chastain knew each other from their Julliard days. How did their history play into their roles? They’re very good friends, but had never actually performed opposite each other. I think Jessica was one year ahead of Oscar, and I think she actually dated one of Oscar’s really good friends. So they’ve been fairly close friends for I think 12 or 13 years, which is almost as long as these two characters would have known each other. We realize when they would have met, had kids, and everything else. They had a similar history to the characters in some way, with that competition that comes with people you went to college with, especially an acting college. It’s a very dog-eat-dog kind of world. Jessica was actually the person who introduced me to Oscar and started to talk to me about him. She was like, "I don’t know if you know this guy, but his mom is Guatemalan and his dad is Cuban and he grew up in Miami and then got himself into Juilliard." It was this very American story. And I always wanted the lead character to be of Hispanic descent because that’s this current wave of immigration into the United States. They came into the U.S. and brought new energy into the country. That was the way the character was written. When I met Oscar, it was a no-brainer. He just embodied this guy. The amazing thing about Jessica and Oscar&apos;s past together is that from the first moment of them working together, they were ripping the script apart and getting into a character and having conversations about who these people were. There was this physical and emotional familiarity between the two of them that would have taken a whole lot longer to build up that trust had they not had shared a history. 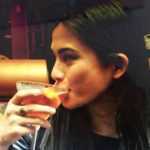 Tara Aquino is a contributing writer for Complex. She tweets here. AFI Film Fest: "A Most Violent Year" Answers the Question: What Would "The Godfather" Look Like if Michael Just Ate the Cannoli?